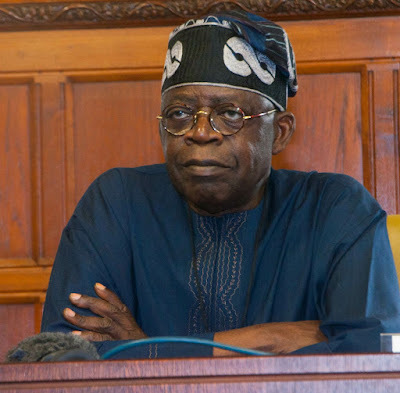 A former Lagos State governor, Bola Tinubu, on Sunday congratulated Rotimi Akeredolu, the winner of the governorship election in Ondo State. Mr. Tinubu had been opposed to Mr. Akeredolu’s emergence as candidate of their party, APC, alleging irregularities in the party’s primaries. The former governor and his key supporters were conspicuously absent during Mr. Akeredolu’s campaign rallies. Following the announcement by the Independent National Electoral Commission (INEC) with regard to the governorship elections in Ondo State, I extend congratulations to Mr. Oluwarotimi Akeredolu, SAN. on the outcome of the election and for his perseverance and persistence in seeking that office. I must also congratulate the people of Ondo State for their generally exemplary conduct on election day and for demonstrating their will to shun the regressive politics of yesterday by returning to the progressive brand of politics that has been the trademark of the people of that state. I congratulate all party members in the state, particularly the party leadership in the Southwest. Finally, I must express profound congratulations to President Muhammadu Buhari, the national leader of the party, whose stature and dignity helped guide the APC to another victory that should advance the progressive aims of the party and the people. To all the people and parties in Ondo, your election has been had and held. Now is the time that all must work for the continued development, prosperity and peace of your state and our beloved country. I appeal to all party members including those who have been disaffected from the primary until today to come together for the good of our party and its progressive ideals.